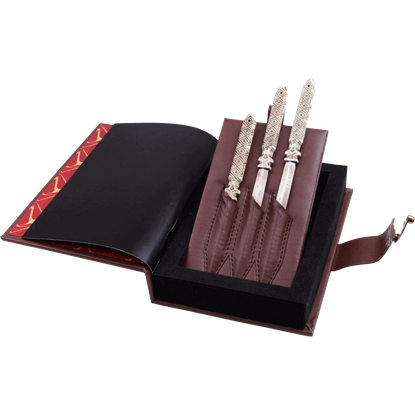 A hidden blade is the signature weapon of a member of the Assassin Brotherhood. 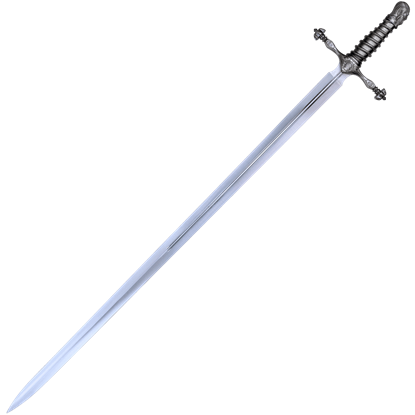 The Hidden Blade of Aguilar is an officially licensed collectible replica of this weapon, as worn by the 15th century Spanish Assassin Aguilar de Nerha. 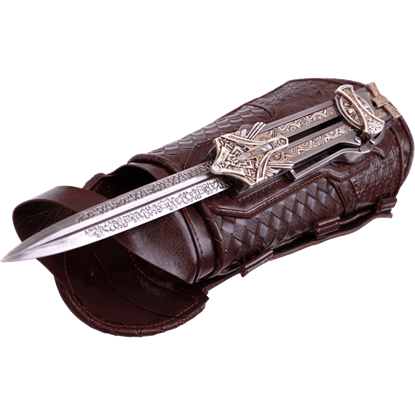 In the Assassins Creed 2016 film, the villainous Ojeda, head of the Spanish Templar Army, wields a fearsome sword with an ominous bearded head decorating the pommel. 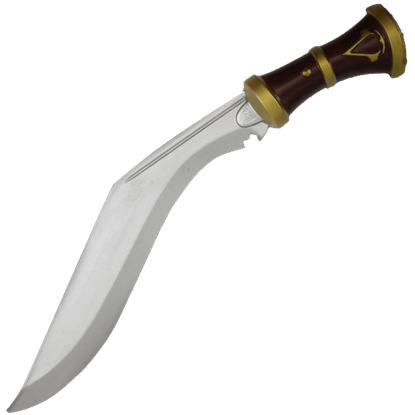 The Sword of Ojeda is an officially licensed replica of this blade.